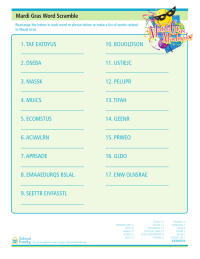 These reading worksheets and printables are a great (and fun!) way for kids to practice reading skills, including letter and word recognition and reading comprehension. Find more ideas on how to build reading skills at home. 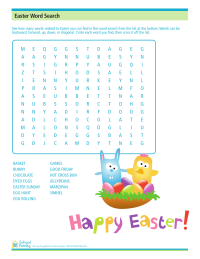 Find Easter-related words in this word search activity. 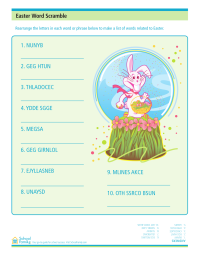 Rearrange each group of letters to find words related to Easter. 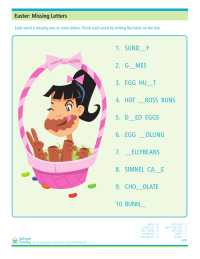 Can you guess which letters are missing in this Easter-themed missing letters worksheet? Rearrange each group of letters to find words related to Mardi Gras. 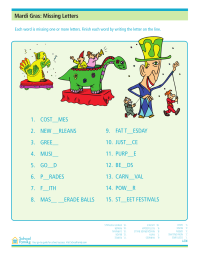 Can you guess which letters are missing in this Mardi-Gras-themed missing letters worksheet?